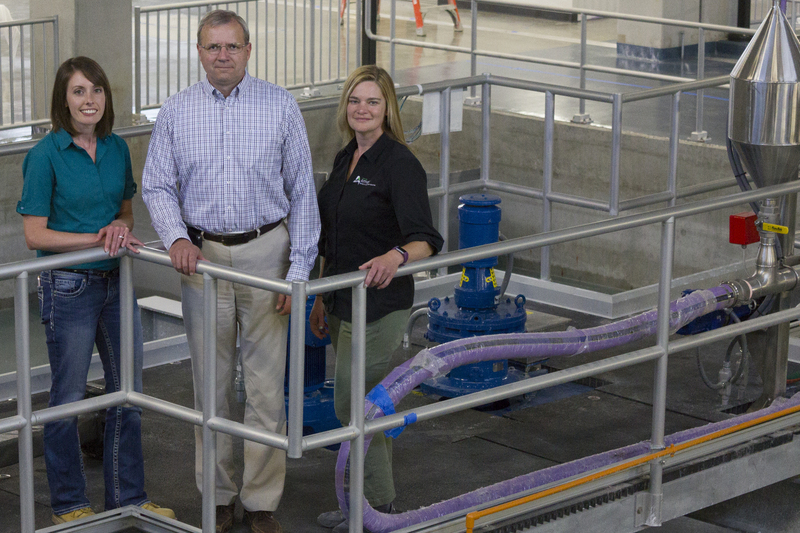 (From left to right) Engineering alumni Jenny Ruddy, Lance Aldrich and Kris Evans stand in the operations gallery of the new City of Ames Water Treatment Plant. Photos by Kate Tindall. Engineers Kris Evans, Lance Aldrich and Jenny Ruddy will have a big effect on Ames citizens for years to come. Whenever someone turns on the faucet, he or she will come into direct contact with the work of these three Iowa State University (ISU) alumni. 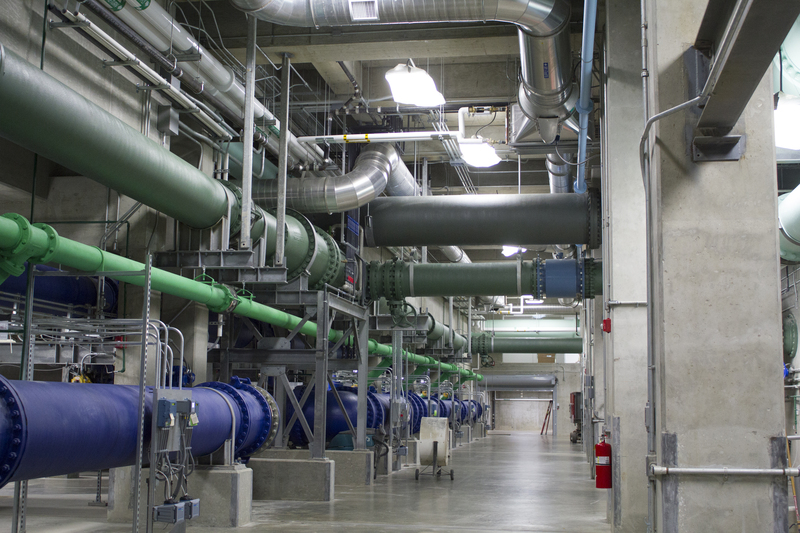 On Aug. 26, the City of Ames will host the grand opening of its newest water treatment plant. The plant is located on the east end of town on 13th Street. 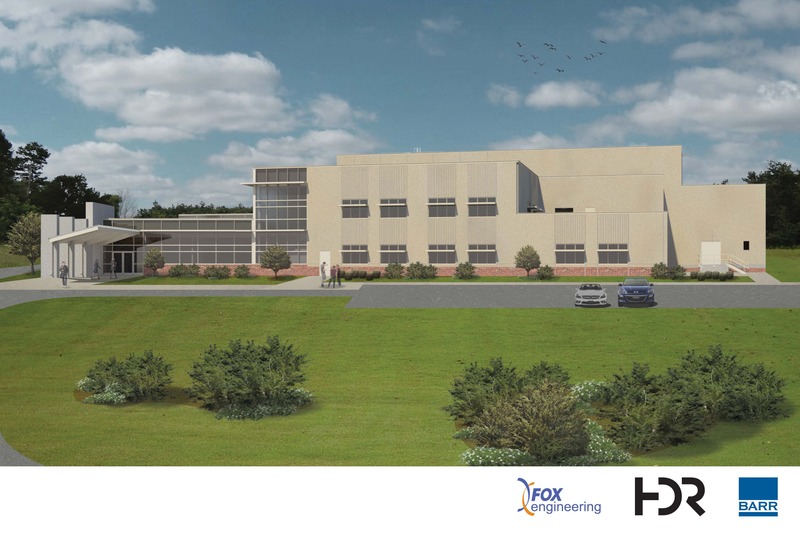 For the last decade, the City of Ames in conjunction with FOX Engineering has been designing and building the brand new plant. Evans earned her bachelors (B.S.CE’98), masters (M.S.CE 2000) and doctoral degrees (Ph.D.CE 2004) in civil engineering from ISU. The century-old water treatment plant has served as her work base since she began at the city in 2007. A computer rendering of the outside of the City of Ames Water Treatment Plant. Rendering courtesy Kris Evans. Aldrich (B.S.CE’94) and Ruddy (B.S.CE 2008, M.S.CE 2009) are both environmental engineers for FOX Engineering. For these two community members, one of the neatest parts of the project lies in its local roots. At this time, both Aldrich and Ruddy are working with contractors to test the plant processes and prepare for the open house in August. A $70-million project (including construction, design, land, etc. 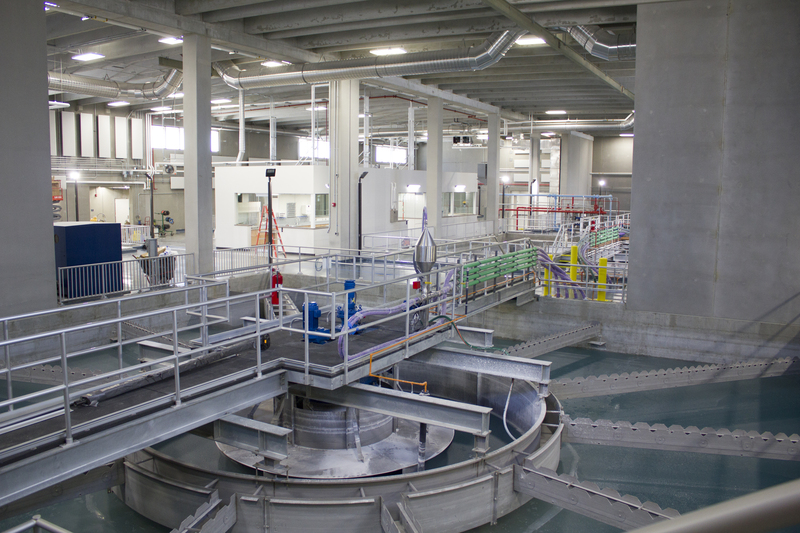 ), the new plant will have a treatment capacity of 15 million gallons of water per day (MGD). Operations gallery of the water treatment plant. All three engineers take lessons from their time at ISU to work each day. They all remember completing team projects and intense course work (each alum found this college experience helpful during the treatment plant process). Ruddy, who is a project engineer in FOX’s water and wastewater group, says internships are also a game changer for up-and-coming engineers. Aldrich encourages students to take on classes in various focus areas. Whether it’s transportation or structural or mechanical engineering, it’s important. 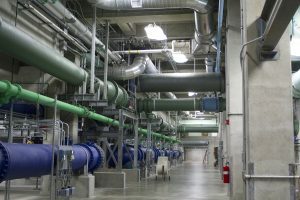 Pipe gallery of the treatment plant, where water is moved between processes. “Especially as an undergraduate, keep the breadth of classwork pretty wide,” he advised. Finally, Evans stresses that communication skills can make the difference between getting ahead—and being left behind. “Get any and all opportunities to present and talk in front of groups,” she said. The City of Ames will host an open house to share the new Ames Water Treatment Plant with the public on August 26, 2017. Tours and activities will take place from 9 a.m. to 1 p.m., with a ribbon cutting taking place at 9 a.m. Multiple ISU alumni and student interns from various majors have been involved during the planning and construction of the treatment plant. You can find out more by visiting the city’s website or by viewing the short documentary Ames Water Treatment Plant: for decades to come. Interested in the work of ISU civil, construction and environmental engineering alumni? Follow our department on Facebook (www.facebook.com/isuccee), Twitter (www.twitter.com/isuccee) and LinkedIn (Iowa State University Civil, Construction and Environmental Engineering and ISUConE).